The International Hockey Federation (FIH) is set to introduce drastic changes in the structure of global competitions with a new Global Hockey League (GHL) to be introduced in 2019 in place of the long-standing Champions Trophy, which will be scrapped. FIH president Leandro Negre on Friday said the new GHL will be confined to seven teams and will be played on a home and away basis. This new GHL will take up four months of the sport’s international calendar from 2019, the FIH chief said. “The Global Hockey League will be a transformation for international hockey,” Negre said during the ongoing 25th Sultan Azlan Shah Cup. The FIH has acknowledged that it needed to bring changes to the current Hockey World League, which was introduced after the 2010 Olympics. Negre said two major events, the Hockey World League’s Semifinals and Finals would no longer feature in the calendar when the GHL takes off, but the round one and round two tournaments that provide international exposure to the lowly-ranked nations will continue to be part of the new structure. “We will also have stand-alone qualifiers for the Olympic Games and the World Cup,” Negre said, which in effect was the role being played until now by the Hockey World League Semifinals. The Champions Trophy will become a casualty of the new format. The Champions Trophy will be be confined to the history after the 2018 edition has been allocated to Amsterdam (The Netherlands). 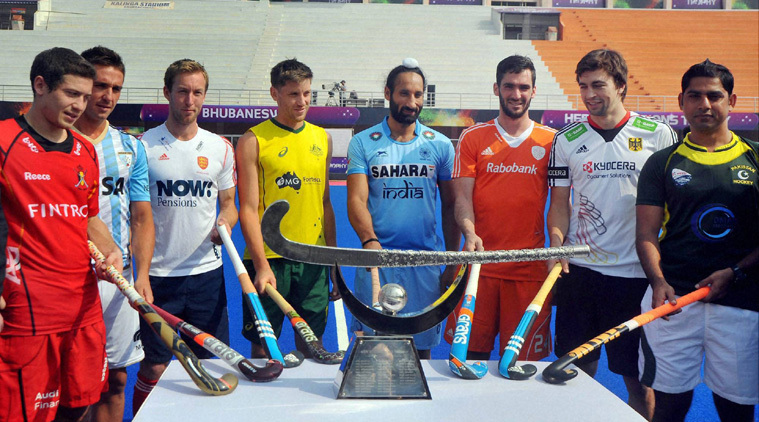 The Champions Trophy was the showpiece annual event in the FIH calendar until the birth of the Hockey World League, rendering the Champions Trophy into a biennial event. The 2018 Champions Trophy will be the third and final edition on the bi-annual roster. Not too long ago, the Champions Trophy was the biggest FIH event outside the Olympics and the World Cup. The seven countries that play in the 2019 GHL are assured of featuring in the elite home-and-away competition for four years, Negre said. He said the GHL would be a nine-team competition from 2021, after which relegation and promotion would be introduced in 2023. The FIH, he said, had now decided that if a continent’s qualifier pulls out and another team from that continent had not qualified, the FIH would step in. “If no other country from that continent had qualified from the FIH tournament and the continental champion pulled out, we will directly allocate the spot to a country from that continent,” said Negre. But this nominated country must figure among the top 20 in the FIH rankings, he added.